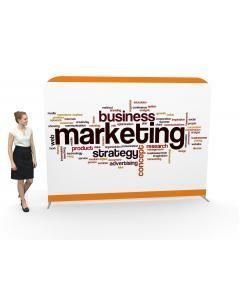 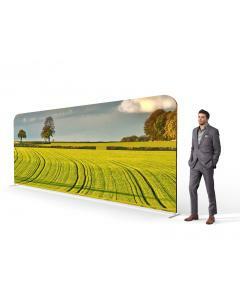 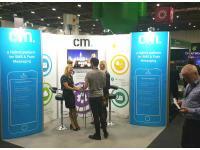 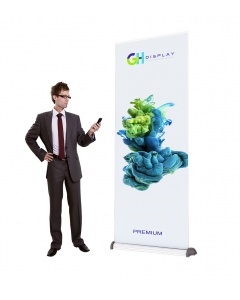 Our hire exhibition stands are the perfect solution for businesses who want to make a large impact at events. 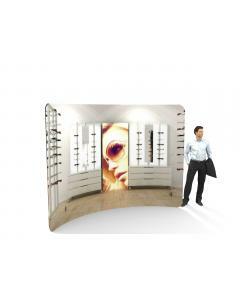 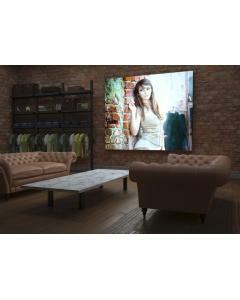 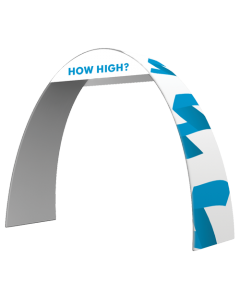 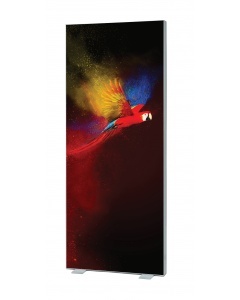 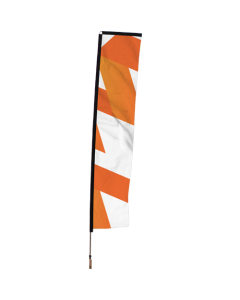 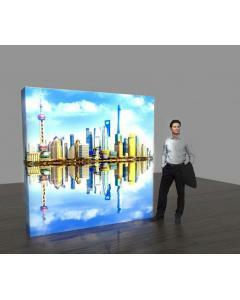 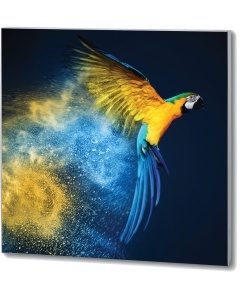 We can combine custom elements to truly personalise your exhibition display. 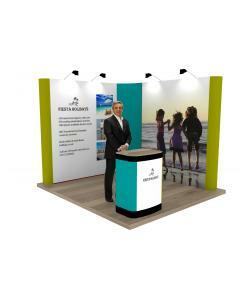 As an established exhibition stand contractor we have various options for exhibition stand hire, from a fully hired exhibition display to a part hire, part buy arrangement where we can develop free standing custom elements to truly personalise your exhibition display stand. 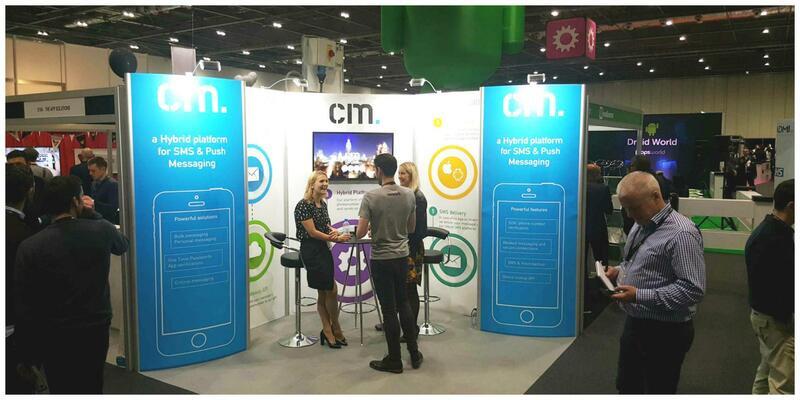 Our exhibition stand hire systems have proved a popular choice for companies who like to change the design of their stand at each show. 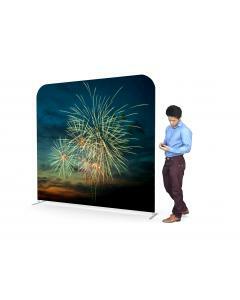 It is also popular with companies who are exhibiting for the first time, allowing the opportunity to evaluate the return gained from exhibiting before purchasing an exhibition stand. 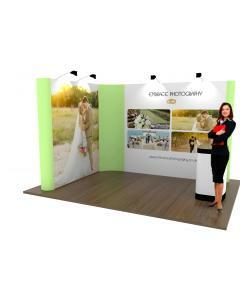 Display stands for hire, designed and built around your business. 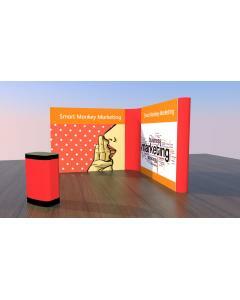 Our exhibition stand design team are adept at taking our vast range of hire exhibition display components and designing a stand that will be unique to your company and ensure that the event visitors are drawn towards your products, services and brand. 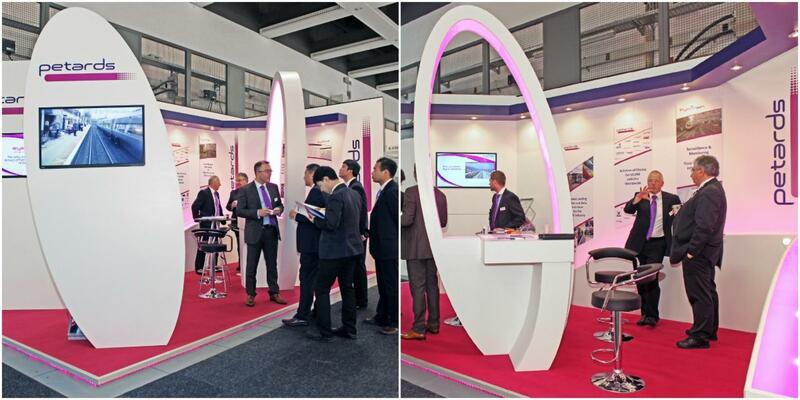 Our talented team of exhibition stand builders can seamlessly transport and install your hired exhibition stand in the UK and overseas, taking care of all the logistics and project management arrangements, allowing your team to simply turn up at your event ready to go. 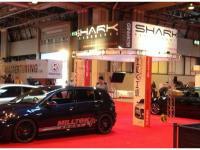 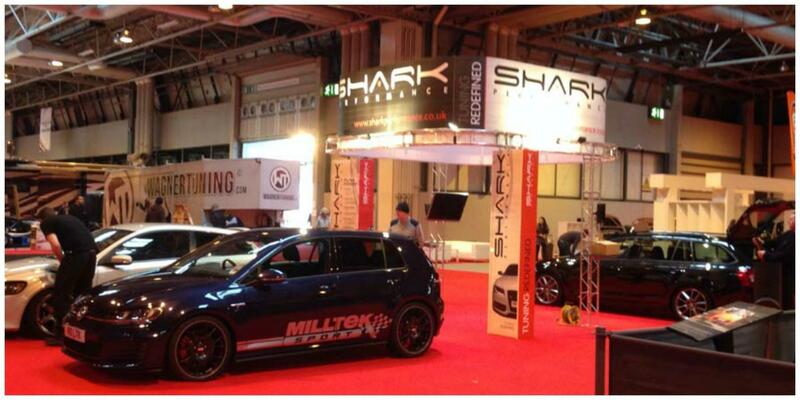 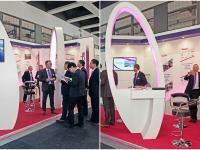 Browse through the images below to view examples of some recent hire and part-hire stands. 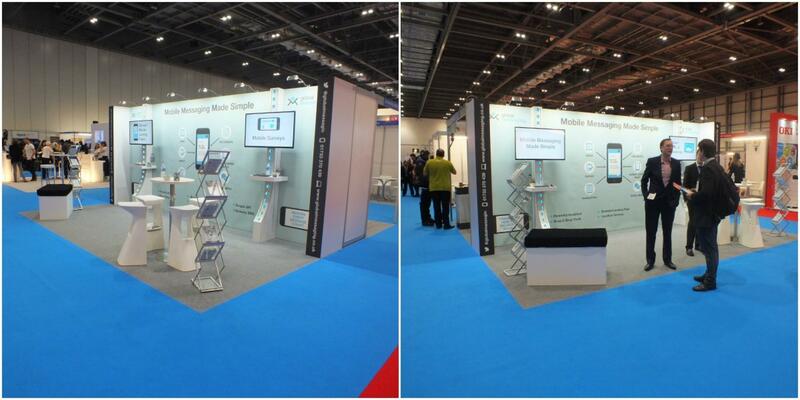 If you would like to get in touch about our exhibition stands for hire options and services call us on +44 (0)1733 570222 to discuss your requirements or complete our design brief form below and we will contact you. 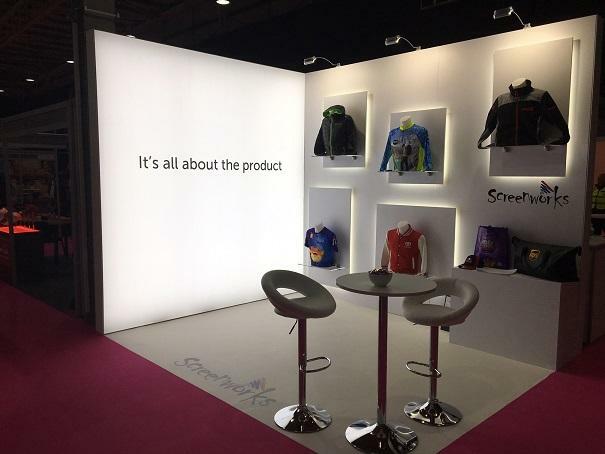 We can tailor an exhibition stand hire, making it unique for your products and services. 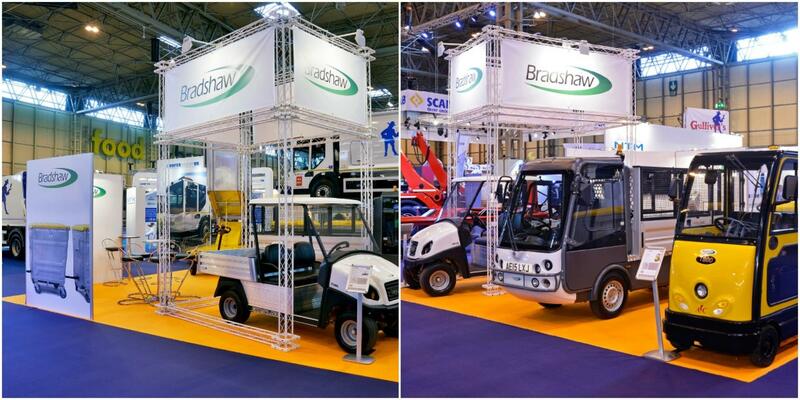 We have exhibition stands for hire to suit any sized budget, from self-build portable displays to larger stands that need to be transported and constructed by our in-house team of stand builders. 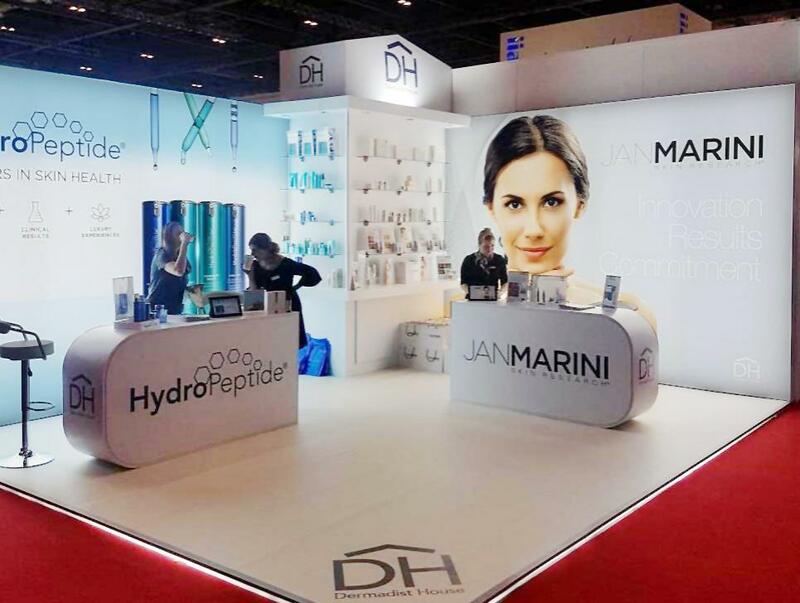 Our exhibition stand design team and stand builders plan each show down to the finest detail ensuring that we always deliver on our promises. 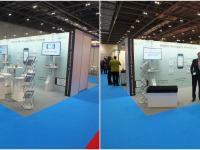 We have a massive portfolio of happy customers and are proud to deliver their exhibition programme year on year. 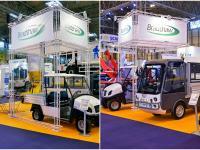 As an experienced exhibition contractor we manage all the exhibition stand transportation, installation and dismantle arrangements leaving you to focus on the show and enjoy the event. 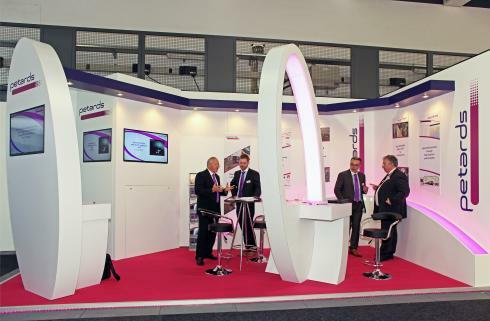 We can provide quotations for you to either purchase or hire your chosen exhibition stand allowing you to weigh up the hire option against the longer-term investment. 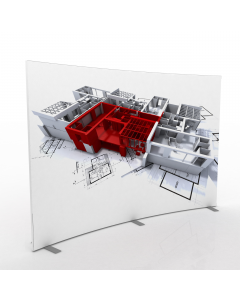 To allow us to provide you with an accurate quotation please complete the design brief form below or call us on +44 (0)1733 570222.